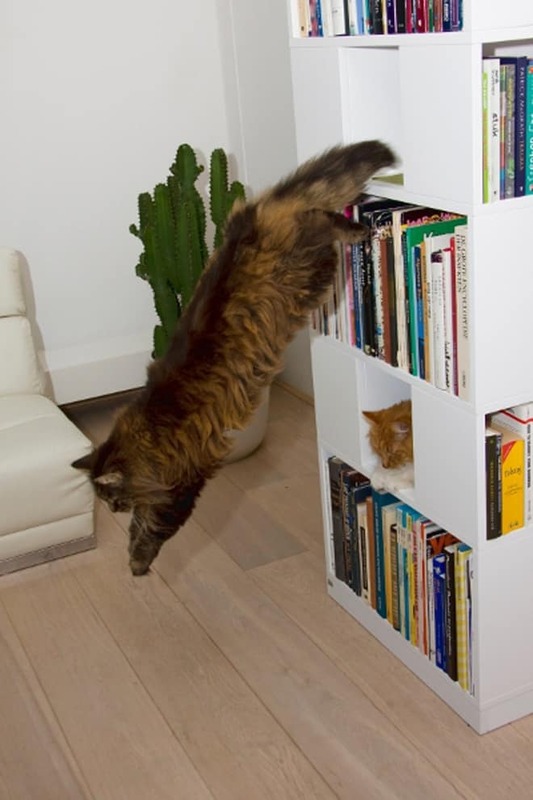 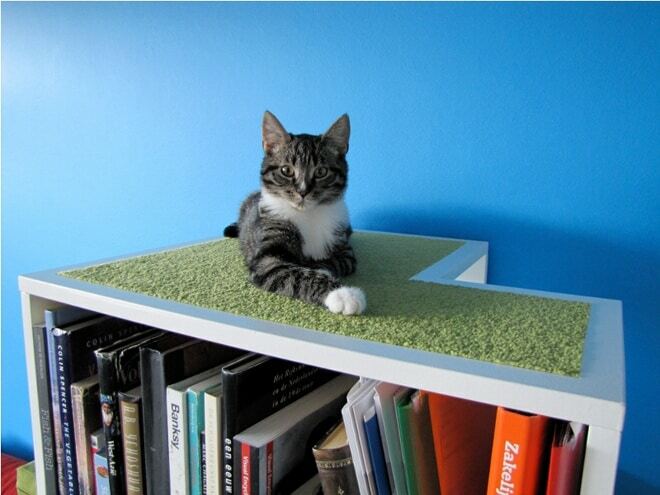 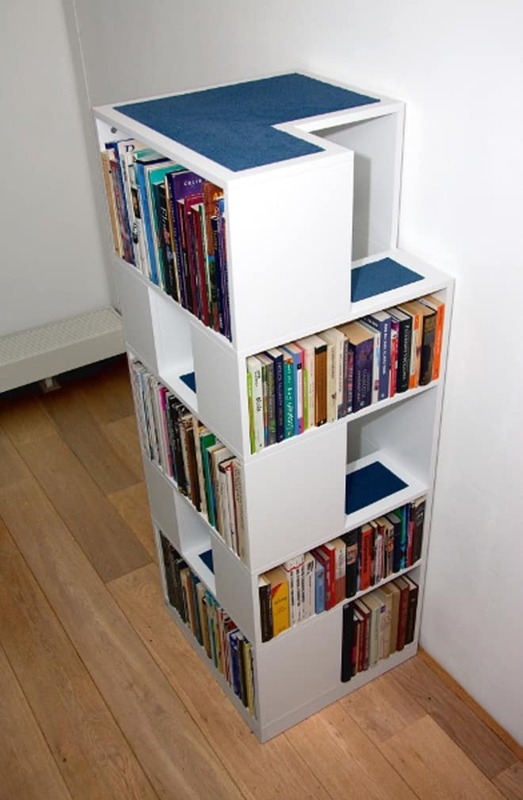 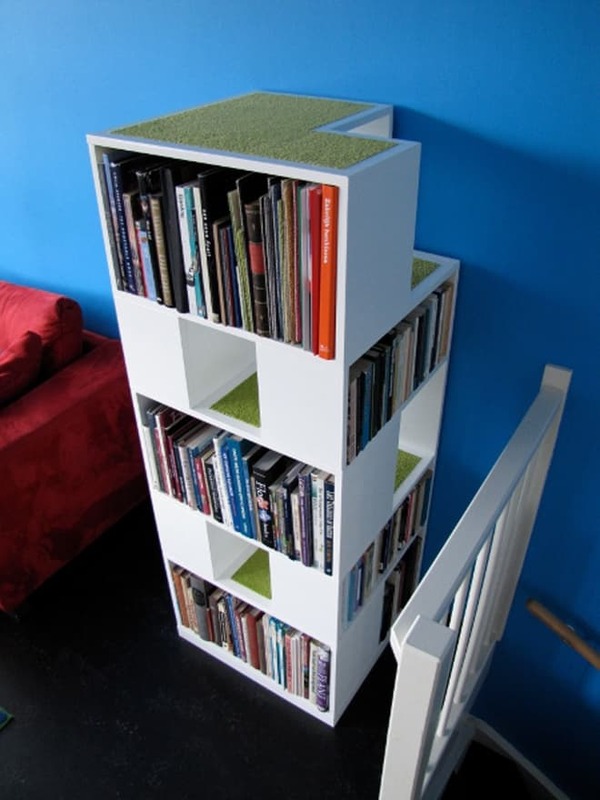 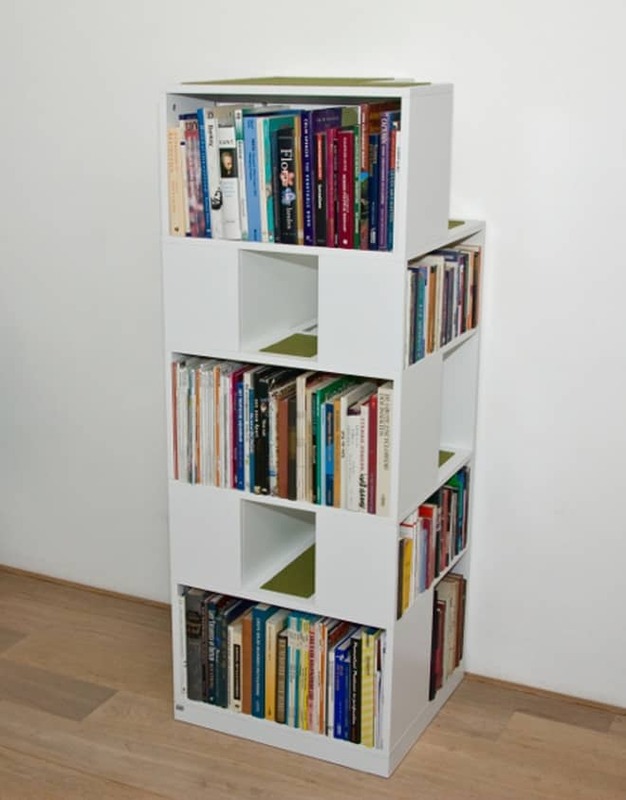 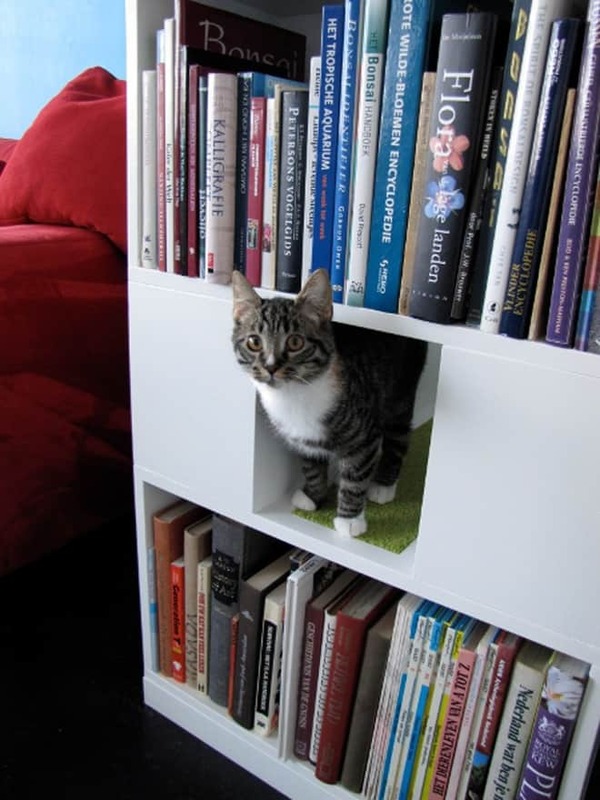 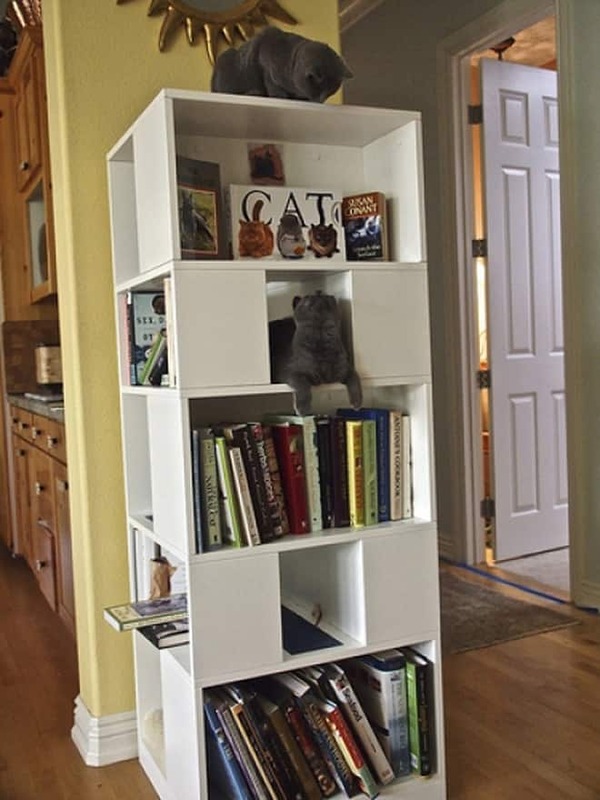 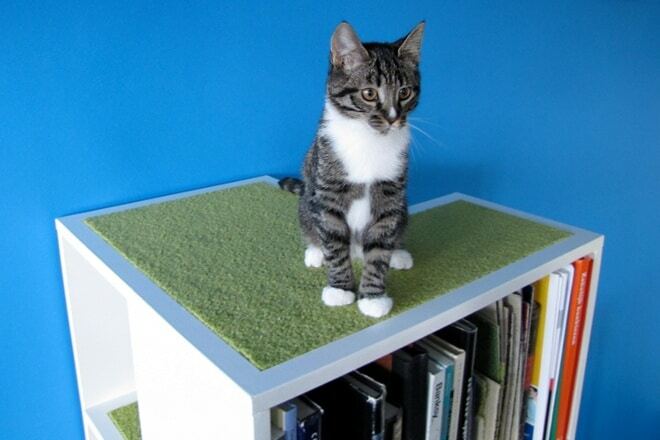 The CatCase combines a bookcase and a cat tree in one. 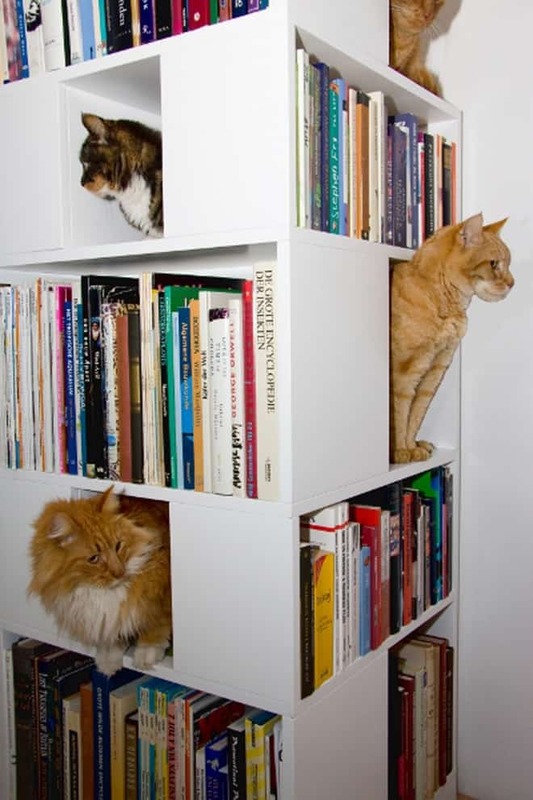 It stores books, dvd’s etc. 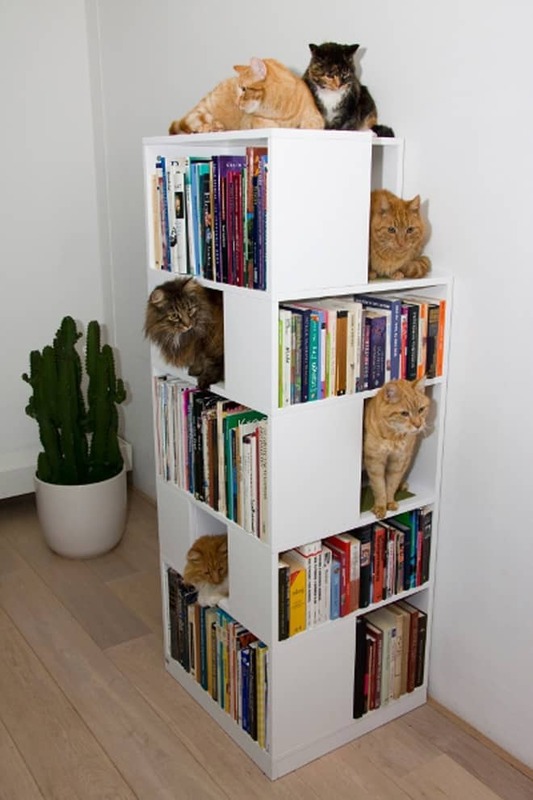 while at the same time being the ideal playground for your cat. 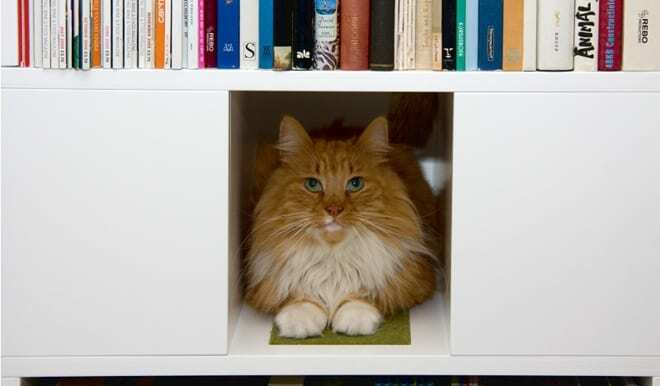 Inside the CatCase your cat can sleep or jump like a stairs from shelf to shelf in order to finally reach the top level from where it has a great and comfortable lookout. 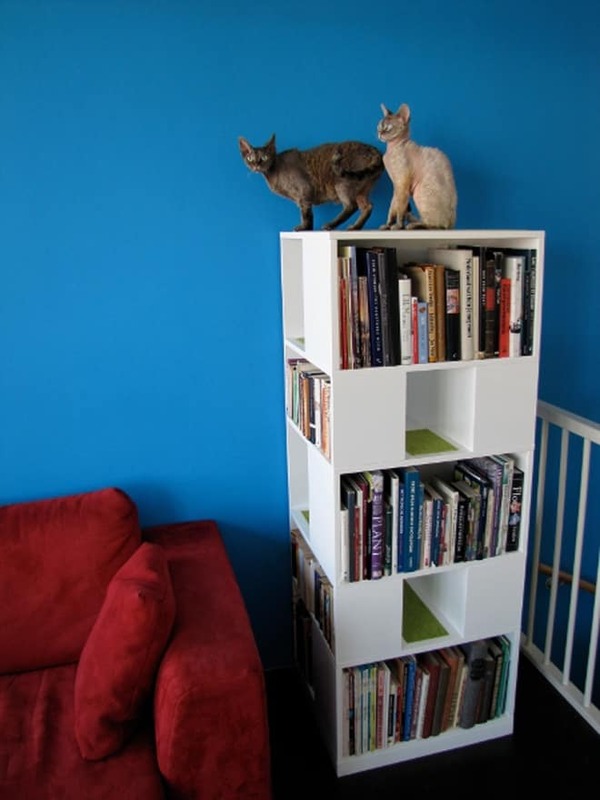 Cats feel best high up with a clear view in all directions; this is exactly what the CatCase offers.